A hallmark of the beauty of the Burren is the eye-catching flora and fauna seen sprouting up from the grey limestone ground. Many examples of this can be seen in Doolin, which is situated at the south westerly edge of a limestone area known as The Burren (from the Irish for ‘big rock’). This area extends north of Doolin to Ballyvaughan and Kinvara and east to the area around Corofin and is part of the Burren and Cliffs of Moher GeoPark. As noted botanist Charles Nelson has pointed out the Burren is, at 53 degrees north, further north than Berlin, Warsaw or Nottingham and closer to the Arctic Circle than all the major cities of the United States and Canada, yet it is host to a fantastic range of wild flowers. The limestone pavement, areas of flat rock broken up by crevices, called grykes are the most famous feature of The Burren, and can be seen along shore to the south and north of Doolin Pier. The pavement is host to a wide variety of wild flowers some of which grow in greater numbers here than anywhere else in Ireland or Britain. 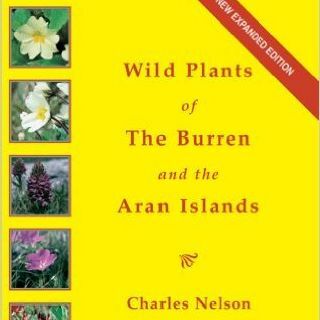 The book ‘Wild Plants of the Burren and the Aran Islands’ by Charles Nelson, which is locally available, provides more detail on the local wild flowers. The time of year to see the flowers at their best is April/May/June and many botanists from around the world travel to the Burren at this time to observe them. Please note that it is illegal to interfere in any way with the wild flowers of the Burren. If you wish to identify one, take a photo and then reference the book mentioned above, or consult with a local tour guide who will help you, do not pick or damage any plant. Here we describe some of the more notable wildflowers. 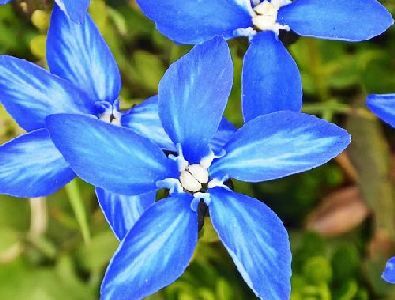 The best known and perhaps most spectacular of the wild flowers is the Spring Gentian. It begins flowering in late April with the best display in May and some late flowers in early June. 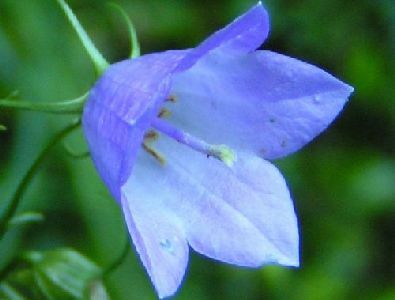 The plants are a startling blue colour, low to the ground in grassy areas where the vegetation is kept low by grazing. Near to Doolin the best place to see the Gentian is in Ballyreen, north of Doolin on the coast road to Ballyvaughan where the road meets the sea below Ballinalacken Castle. The limestone pavement here is host to many dozens of the plant especially in May. This plant is native to the Arctic and probably arrived here with the Ice Age some 15,000 years ago. Today it grows alongside plants of Mediterranean origin and despite its name can be found from the high hills to the ocean shore. 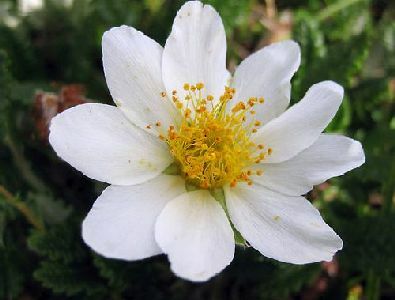 A white flower, almost like a rose, with a yellow centre – similar to the fried egg of your Irish breakfast – is most common in May but can also be seen, in smaller numbers, from April to August. This delicate sky blue flower, in the shape of an upturned bell, is common throughout the Burren and can be seen on the limestone pavements and even on the road verges. A late bloomer it can be seen from July to September with the best displays in August. An unmistakable plant, the Bloody Cranesbill is common throughout the limestone pavement with its pink-purple flowers in clumps and growing in some profusion. 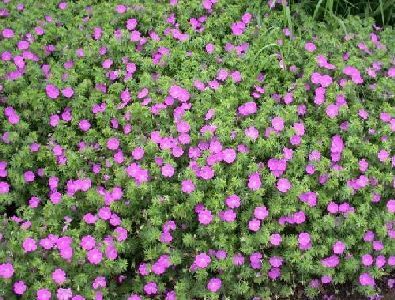 A Geranium, it blooms from May until September with its peak blooming in June and July. Its name comes from the seed pods which form after flowering shaped like a crane’s bill and often reddish. 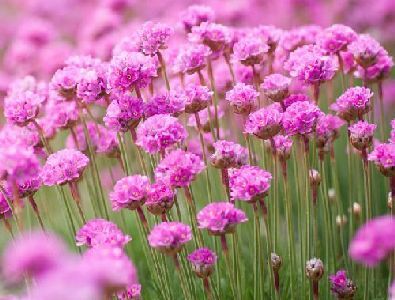 In May, June and July, drifts of sea pink can be seen in the cracks of the limestone pavement especially by the coast, their delicate pink bulb-like flower sitting above dense green hummocks. It can be seen in plentiful numbers to the north and south of Doolin Pier and also along the cliff walk from Doolin to the Cliffs of Moher. There are said to be 22 species of orchids to be found in the Burren, making it one of the best places to study the plant. In Spring the most obvious, often blooming in numbers alongside the Gentian in May, is the Early Purple Orchid. It is often accompanied by the less obvious Dense Flowered Orchid with its pale greenish dense flowers and often growing alongside the Spring Gentian. This is the cause of one of the botanical mysteries of the Burren as the Dense Flowered Orchid is native of the Mediterranean yet here growing alongside the (Alpine) Gentian and often with Mountain Avens from the Arctic nearby! After the early Orchids come the spotted Orchids of which there are many and over which botanists have detailed debates. From the Common Spotted Orchid (pink) to O’Kelly’s Spotted Orchid (similar but white) through to the Heath Spotted Orchid (pink) and the Flecked Marsh Orchid to the Irish Marsh Orchid (both pink) their flowering peaks in June with some in May and July. 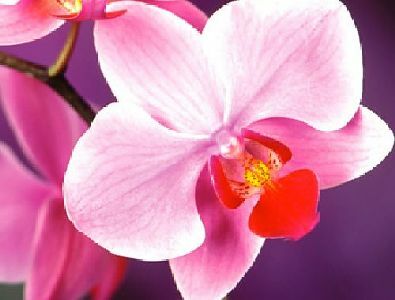 Two other Orchids worth mentioning are the Pyramidal Orchid with a distinctive pink pyramid-shaped flower-head and the Bee Orchid, a remarkable sight with a lip that looks like a bee is sitting on it. Both bloom in June and July. Around Doolin, Orchids are best seen on the Cliffs of Moher walk or in the limestone pavements at Ballyreen just north of Doolin on the Ballyvaughan coast road on the ocean side where the road meets the sea.